An influx of customers attempting to preorder the next-generation iPhone resulted in issues with Apple's online store and forced the company to temporarily reject callers to its 800 number on Tuesday. Demand for iPhone 4 was so high that Apple began rejecting callers from its 800-MY-APPLE number. "Thank you for calling Apple," a voice told callers Tuesday morning. "Due to extremely high call volumes, we are unable to answer your call at this time. We apologize for the inconvenience. Please try your call again later. We appreciate your business and look forward to serving you in the future." Problems arose on Apple's website with the eligibility check for existing AT&T customers. 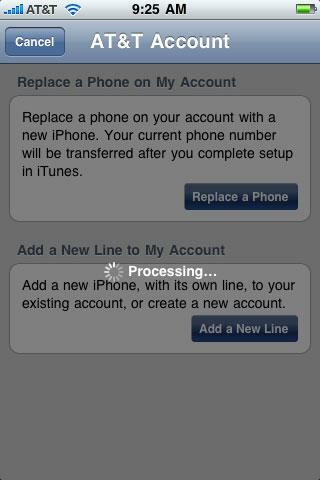 Many who attempted to preorder iPhone 4 on Tuesday morning encountered a screen that read "Your request couldn't be processed. We're sorry, but there was an error processing your request. Please try again later." Server problems even resulted in crashes for the new Apple Store application for the iPhone, iPod touch and iPad. The software, released on Tuesday, was touted as an application that would allow users to preorder iPhone 4 from their current iPhone. Many users who attempted to preorder using the new application found the software stuck at a "Processing" screen when attempting to check eligibility for an upgrade. The application would freeze on the screen until crashing back to the iPhone's home screen. Issues even extended to AT&T's website, where error messages informed customers that the site was not currently available. AT&T is the exclusive wireless carrier of the iPhone in the U.S. The company's online site, along with Apple's, was also plagued by slow speeds due to high demand for iPhone 4. Apple's next-generation phone is set to launch next week, on June 24. Preorders began as expected on Tuesday, as Apple said they would last week when Chief Executive Steve Jobs formally introduced iPhone 4. The new device includes a high-resolution Retina Display, and a forward-facing camera for FaceTime video chat over Wi-Fi. While online and phone orders were a problem in some areas, customers were forced to wait in line to preorder in Tokyo, Japan, where there is no online ordering available. 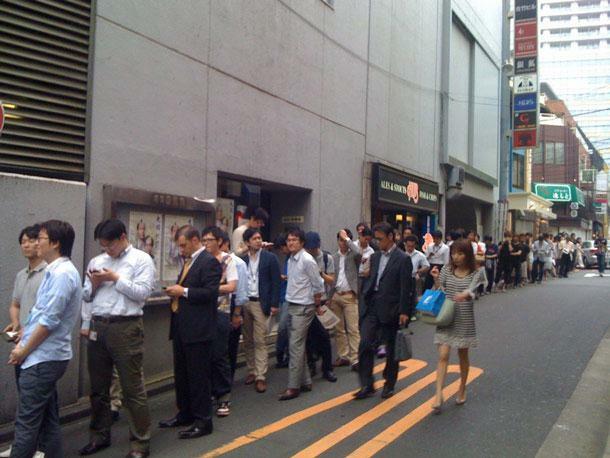 Silicon Alley Insider snapped pictures of customers forming long lines in Tokyo on Tuesday.